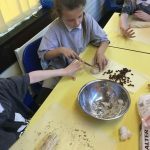 Year 4 Robins have been designing and making their own bread. 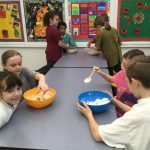 We began by collecting ideas for our design by tasting a variety of different breads, looking at the texture, flavour and shape. Then we came up with a range of different ideas to meet the design specification that was given to us. After choosing a final design, we then spent the whole day baking our own bread based on our design. 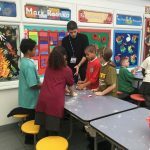 A big thank you to Mr Brunetti for coming in to help us! The bread designs looked fantastic and the smell was just as good. Well done Year 4. I really had fun and the bread that Dalila brought home was really good.